While the media debate the popular topic, public schools are not more protected nor advised on how to protect themselves. Barracading schools costs money, protecting citizens with laws that prevent bullying and providing psychological help costs money. 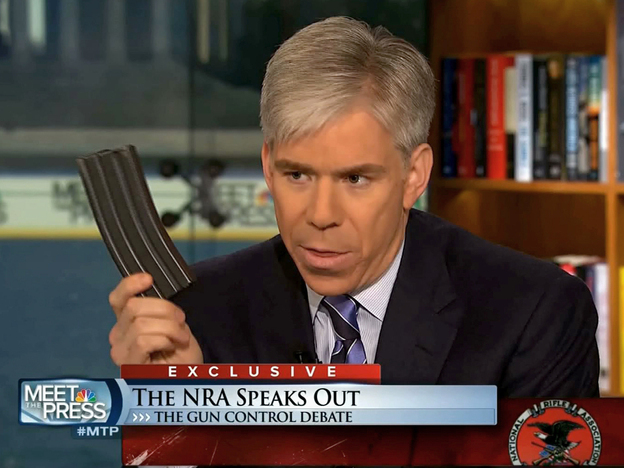 Should David feel that he was unfairly judged for communicating with an actual gun magazine? Should the public push that NBC and David be prosecuted like anyone else or should laws be changed to show legal intent for psyschological debate? Of course we see the unfairness hear of laws that change for those who have the wealth of money and media. What about the rest of us? How much money would that law change cost? How do you prevent more social laws that unfairly target psychologically sound individuals with ludicrous laws from fear inflicted acts? The loss of empathy for individuals who display a wider range of options to life without the intention of harm or demise of others will always increase and decrease over time. Is there a better solution to fixing the psychological question to today's turmoil and sadness? Is there room at all for improvement? Where will the care and money come from?